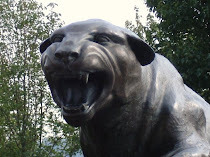 CARDIAC HILL - A Pitt Panthers Blog: Running Back U? With the recent commitment of running back Jameel Poteat, it got me thinking about Pitt's recent success with running backs. Lots of schools can stake a claim to being called "Running Back U" all-time. Pitt has two all-time NFL greats with Tony Dorsett and Curtis Martin, but is still behind schools like USC. Here's a reasonable list from a year ago, before the success of Dion Lewis. 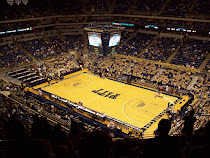 Still, I think Pitt is a little low. With Lesean McCoy and Dion Lewis over the past two seasons, Pitt has had one of the most productive running games in the country over that span. And don't forget about Shady's backup, Larod Stephens-Howling. It's hard to imagine many schools having a backup capable of rushing for 220+ yards, as LSH once did against Syracuse. Stephens-Howling is in the NFL and if Dion Lewis bolts for the pros either after this season or next as expected, Pitt will have its three starting running backs all in the pros. No one can identify just how good Poteat will be, but Lewis' current backup Ray Graham has shown glimpses of being very good. And if you really want to get technical, you can count Rashad Jennings, who transferred to Liberty and ended up with three straight 1,000 yard seasons (including a 1,500+ season as a senior). Liberty may only be a I-AA school, but Jennings proved he's a talented back as he's in the NFL now as well. Go back a few years to 2000 and you've got Kevan Barlow, who after that season was an NFL Draft Pick as well and had a fairly long career. Over the past decade, Pitt might be it for running backs.